Physicians and physician groups face a multitude of business issues because of the intense regulatory requirements that exist in the health care industry. Ruder Ware has a long history of representing physicians and physician groups. The increasingly complex regulatory environment has led the firm to assemble a team of attorneys to focus on legal matters that are faced by physicians and physician groups. Our skilled health law and business transactions attorneys understand health care and can guide our clients through a myriad of complex legal issues. Our physician practice health care attorneys have assisted providers from various parts of the country since the early 1990s on issues related to provide integration and positioning their practices in the face of health care reform proposals. Provider organizations have again emerged with the passage of health care reform legislation and the creation of Accountable Care Organizations. We are equipped to advise physicians and physician groups on the various laws that are applicable to the creation of practice associations and group practices and the requirements to become qualified as Accountable Care Organizations. We have also assisted physicians and physician groups in negotiating relationships with other providers such as hospitals, health systems, and ancillary providers. 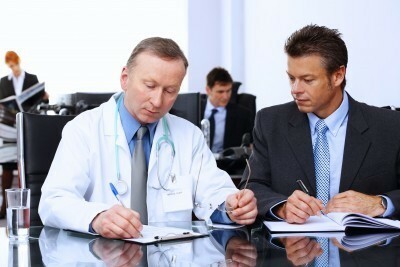 We provide health law expertise throughout the country working with local counsel. 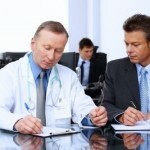 Our seasoned attorneys also assist physicians with their personal estate planning needs. We offer comprehensive services in income, gift, and estate tax planning and trust and estate administration. Our attorneys are able to implement creative and flexible strategies that hlp protect, manage, and dispose of client assets as they see fit, whether that is by lifetime transfer, transfers in the event of incapacity, or upon a client’s death. This entry was posted on Wednesday, January 18th, 2012 at 7:16 am	and is filed under Physician Employment Issues, Physicians and Group Practices, Stark Law and Self Referral. You can follow any responses to this entry through the RSS 2.0 feed. Both comments and pings are currently closed.